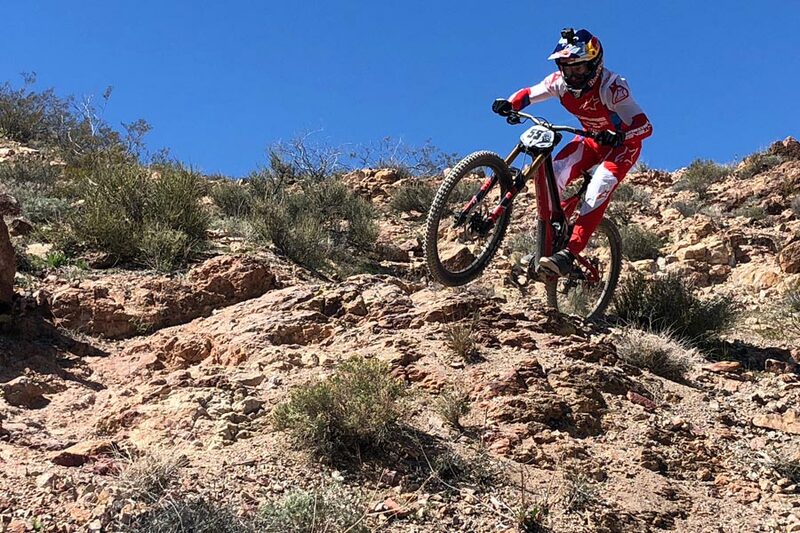 If you have a kid around the age of three, chances are good they are going to start their cycling history similar to how Aaron Gwin started his. Perhaps a hand-me-down bike from a family member or neighbor will spark a lifetime of experiences enjoyed on two wheels. For those of you not familiar with Aaron, he is America’s best professional downhill mountain bike racer. A thumb injury limited his performance last year, but he’s healthy now and ready to go full-throttle. 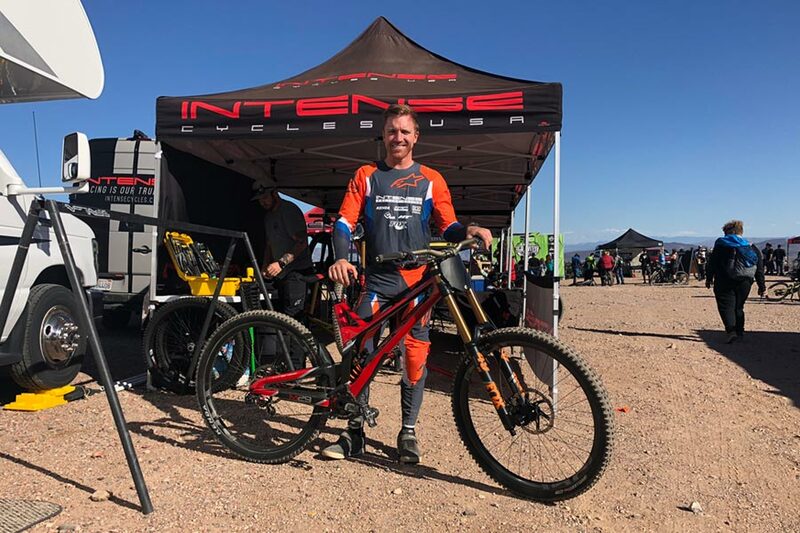 When we attended the last round of racing this year at Bootleg Canyon, Aaron was kind enough to answer our questions about his progression from BMX, to motocross, to mountain biking; his dedication and discipline, what he puts in his oatmeal, and that sweet Intense M29 he’s on this season. Thanks for your time Aaron, and good luck this year! MTBK: When you were younger how did you get into riding bikes? Aaron: Wow. That’s a while back. It started when I was three, I think. My parents got me my first bicycle. My baby-sitter at the time had a bike for her son that was a little older than me and my mom bought it, repainted it and gave it to me for Christmas one year. It was a full-on department store tiny little kid’s bike. We have photos of me riding it still. It had the full red solid wheels. There were no spokes and it was pretty funny. So, that was my first bike. I never had training wheels. My mom just took me out in the park in the grass and started pushing me around until I figured it out. When I was four, we got a bike – I think it was an Elf. I don’t know if you remember those back in the day, they were these BMX bikes. There was a company called Elf Bicycles. No, I think Elf was the bike after that. I had Dyno before that, it was a Chrome Dyno. And we used to go to the park all the time to just burn off energy because I had a lot of energy as a kid and there was a BMX track right next to the park that we used to go to and I’d watch guys ride and I got all fired up on it. So, my parents got me a track bike then we started going to the track I think right when I turned four. And that’s kind of where it started. My whole life feels like it’s a timeline of racing because I’ve been racing since basically I was four or five so I remember everything based on the races we were doing at that age. MTBK: Did your parents play a big role in supporting you during the early days? Aaron: Yeah, for sure. They were 100% supportive from the beginning. It started out as a fun thing, it’s always been fun but we definitely started traveling a bit more. By the time I was six, we were doing some nationals and by the time I was eight, we were racing BMX all over the country. We were flying around to the nationals and doing all that. Then I moved on to motocross when I was 12 and then I got into downhill right before I turned 20. But until I was 17 or 18 and moved out of the house, my parents were the ones driving me to the races and doing everything. It was a family thing – the three of us for a long time. It was cool. MTBK: Kids dream of getting their first sponsorship – you got yours when you were eight? Aaron: Yeah, it was a trip. It wasn’t really anything we set out to do sponsorship wise. BMX is not cheap but it’s not super expensive like motocross or some other sports. It’s really just the travel fees but we started picking up sponsorships. I remember I was sponsored by Vans when I was eight and I got a free pair of shoes and I thought that was the coolest thing ever because I liked Vans shoes when I was a kid. So, I didn’t really care about bike parts and stuff that was more for my dad but I was pumped on the free shoes. MTBK: Tell me more about your BMX racing. Aaron: I think it all just happened pretty naturally and we raced a lot and it just seemed like every year we started racing more and more and then we were battling for championships and doing all that stuff and it got pretty serious. I think by the time I was about almost nine, I stopped racing. I loved riding my bike but I think after all the traveling and all the racing, I just wanted to be a normal kid and hang out with my friends and play baseball and do some other stuff. So, I never stopped riding but I stopped racing when I was eight or nine for a couple of years until I got into motocross. When I was younger, I always wanted to race motocross. 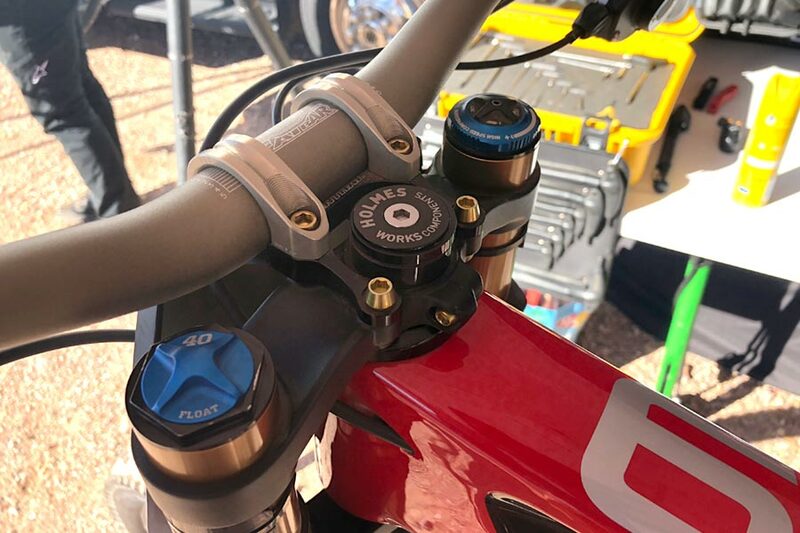 MTBK: How did the transition go from BMX to motocross? That’s a pretty big leap if your family is not already in to motorcycles. Aaron: For sure. That’s probably why I got into BMX because I wanted to race dirt bikes. My dad was like, “Let’s get you a bike and start there.” And so, I remember asking for a long time and finally when I was 12, he got me a Kawasaki 80 and we started riding that thing. So, it was a big step. I remember it being a big deal for him because I had wanted one forever and he’s a physical therapist and my mom’s a nurse – so they see all the injuries and stuff. They weren’t too pumped on it, especially my dad and finally we broke him down and he got me one. But it took a little while. And then we were kind of full-on with racing dirt bikes for about five or six years and trying to go pro doing that. So, that ended up being the same thing. We went to a lot of nationals and we were riding a lot till I was about 17. MTBK: What drew you to motocross? Aaron: I think it just always looked really fun. I would watch the races when I was a kid. And then I had a couple of neighbors that had dirt bikes and I just always thought that they looked super fun. It was kind of like a bicycle that you didn’t have to pedal in my eyes so I liked it. Aaron: The thumb’s good. It’s been a bit of a long process. It was one of those weird injuries where it felt fine to ride for maybe three, four months now – but it’s still a little bit sore. I don’t notice it all when I ride. It’s just the joint and stuff, the ligaments are bit messed up. So, it’s just a slow healing process. Hopefully I won’t land right back on it in the next couple of months. But, it doesn’t bother me when I train or ride at all, so it’s all good. MTBK: Are you going to be able to go full throttle? MTBK: The DH field is stacked now more than it’s ever been. The younger fast kids are getting faster and it seems everyone is stronger now. With all these guys coming up, what are you looking for to most this year? Aaron: I’m just looking forward to getting back at the races, being healthy, getting a new bike out and just getting comfortable – and then just seeing where we’re at. I didn’t get to race much last year. I really only raced one World Cup before I got hurt and then at the rest of the races, I was injured and probably shouldn’t have been riding for most of them. And the other ones I had a very limited time on the bike – so it wasn’t really a fair shot for me. I’m looking forward to being back at the races 100%, getting time in on the new bike and getting everything dialed. I’m excited. There are a lot of guys going fast but I feel good. I’m sure by the time Fort William comes around, we’ll be fired up pretty good. 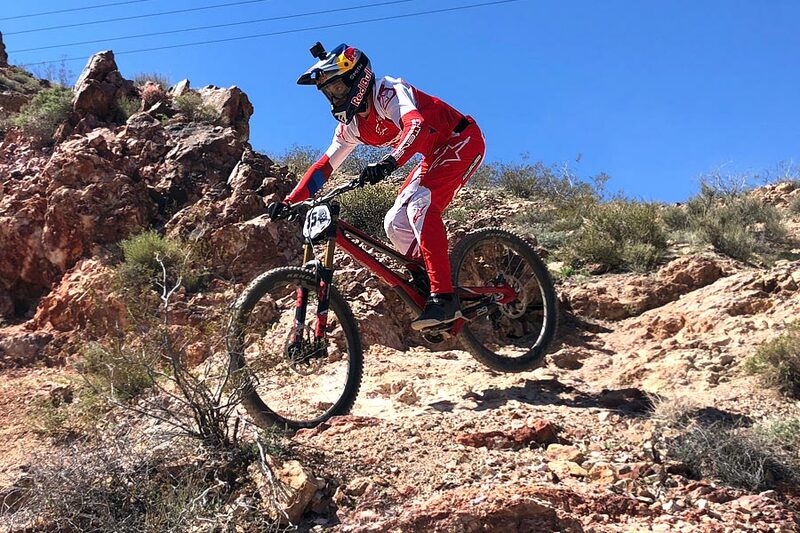 MTBK: Why do you race at Bootleg Canyon? Aaron: or training and just fun. I’ve been coming out to this race in March every year for seven or eight years probably now and it’s good for me. It’s so different than what we race on the World Cups; the bike setup, everything is completely different. But there’s always guys here going fast and it’s a longer track, so it’s good to kind of see where your fitness is at and getting some good riding with my buddies. It’s just more of a fun race and a preparation race for me. MTBK: What can you attribute your discipline to as far as staying healthy, making good choices, staying fit? Aaron: For me, I’ve always been pretty self motivated. I’ve never really lacked the discipline to train and work hard and go after what I want. That’s kind of where I get a lot of the confidence with my racing. It’s in the work that I put in. I feel like my fitness is really the only thing that can hold me back. I feel like if the bike is set up well for me and I’m fit – nobody can beat me. That’s how I’ve always felt. I feel my fitness is what holds me back the most. It’s pretty rare that I feel like people are just flat out going faster than me. I think my preparation is what I work really hard at it because that’s what gives me the most confidence when I ride. I’ve just always been willing to put in the work. And as you get older and mature and more, you see the results of your hard work and you’re always learning and improving. I enjoy that process of just getting better and experimenting in the gym or whatever and trying to figure out ways to get stronger. Every year, it’s a constant search to try to get better and to also just try to keep things fresh and be motivated but it doesn’t seem to be too hard for me to stay motivated. MTBK: You said your fitness is the only thing holding you back and so that leads into my next question, how do you mentally prepare for a race? Has it changed over the years or what do you do now? Aaron: Nothing really changes mentally. I don’t do a lot to mentally prepare. I think my best mental preparation is just being physically prepared. If I feel physically prepared and I feel good on the bike then my mental game is strong. If I know that the bike’s not 100% working for me or if I’m maybe not where I want to be physically then that’s the place I focus on improving. The mental side is just, I’ve always been a racer and when it’s time to race, I can just get it done. I have the ability that when it counts, I can throw down a good solid run. I don’t ride over my head and I try to just be smart about how I approach my race weekends. So far it’s worked out pretty good for me. MTBK: What are your current favorite healthy foods? Aaron: There is stuff I eat every day. I wouldn’t say I’m on a diet but I just eat really clean and I try to get the right amounts of the right things at the right times. I pretty much have eggs and oatmeal every morning and I enjoy that. I have to put ham in my eggs. In my oatmeal I put a little bit of yogurt, berries and peanut butter. The yogurt changed the game on the oatmeal for me. It makes it so much easier to eat. It’s not all dry and gnarly. So, I look forward to that every day and then just healthy meals. I think as I’ve gotten older too and I’ve eaten clean. You develop more of a palette for really clean food whether it’s chicken or vegetables or potatoes or whatever. I enjoy eating that stuff. MTBK: One of the things we like about this sport, is accessibility to the athletes. Are you cool with that stuff most the time? Aaron: I really enjoy it. It was a bit of an adjustment early in my career because nobody ever knew who I was when I came in. And I came in under-the-radar and then started doing well. Once you have success, everybody loves you and then you have a couple of rough years and then you get some negative stuff. That was a little bit hard for me to take back in 2013 or whenever that was. But as you mature over the years and learn to just enjoy what you do and you make the decisions that you think are best and you’re okay with that. I think as far as the fans go, it’s only fun. Everybody’s got their opinions and their favorite riders and whatever so that’s kind of what makes sports what they are. If everybody loved everybody, so to speak, you wouldn’t really have some of the rivalries, or the hype, or the tension. I think it’s cool and I’m blessed to have a lot of great fans. I get a lot of love from my supporters and it’s a trip for me to think back on now. I remember showing up to this race 2008 and literally nobody here would have known who I was and now I show up and everybody knows who I am and everybody stops by and says, hello. It’s always a bit of a cool thing coming back to these local races. I remember where I started and where I’m at now. I’m just blessed to be where I’m at. I enjoy it a lot. MTBK: Do you have any advice for parents with kids who like to race bikes? Aaron: Everybody’s got to do what they believe is best. It is a sacrifice you make. If you’re going to spend time with your kid going to races, you’re giving up part of your life to do that. You’ve got to be able to make that choice up front so that you don’t feel like your kid owes you success. From my experience of watching the parents and riders we’ve worked with, you need to decide to support your kid at whatever level your kid is happy with. I think knowing that up front is good, then there are not any surprises or expectations. You can just give it your best shot. If it works out, great. And if it doesn’t, you have a great time as a family spending time together. I always had a great time with my parents. Honestly, when I stopped racing motocross, we never thought I was going to make it. We put in all that work and travel and time and it looked like it wasn’t gonna happen for me – but we didn’t regret it. We got a lot of really fun time together as a family and we’re still really close. Then it ended up working out with downhill. But I think for parents there’s a lot of value in that one. I’m not a parent, so I can’t speak too far into it. But I think for me as a rider or as a coach, it’s just keeping the kid focused on the things they can control. It’s just learning, getting better at working on their weaknesses – not getting caught up in rivalries with other kids and whatever. It’s about trying to improve each weekend; enjoying what you’re doing and just getting better. That’s always been my goal and it still is now. MTBK: Tell me about the bike you’re on this year. Aaron: We’re on the M29 intense. It’s a full downhill bike. I’ve been on the bike a couple of months now since I signed my new contract. We’re kind of going back and forth between the large and the extra large because I’m a little bit between sizes. I think I’ll end up on the extra large for the World Cups and just testing through parts and all kinds of things. It’s been awesome and I’m really liking the bike so far. We’re just trying to get into the races a little bit this year and see where we’re at. I have the opportunity with Intense to sort of change things or do whatever I want but I really like the bike right now. We just want to get it to the races and get it through a season and see where it stacks up. MTBK: Is this is a stock frame then? Aaron: Yeah. Everything on this bike is Stock. We had some prototype links we were messing around with a few weeks ago, but I didn’t like them quite as much. I’m just on a full stock bike right now. MTBK: Do you have to do things over and over before you know you want to change something? Aaron: Kind of. It depends. We’re just trying to shorten the rear end a little bit instead of making a whole new carbon mold. We were messing with the links, but it changed the leverage ratio on the bike too much where it just wasn’t worth it. So, like I said, I’m a little bit between sizes but we’re back to stock now and it’s feeling good. I’ll probably just race the stock XL all year. MTBK: Aside from Intense, who’s sponsoring this year’s campaign? 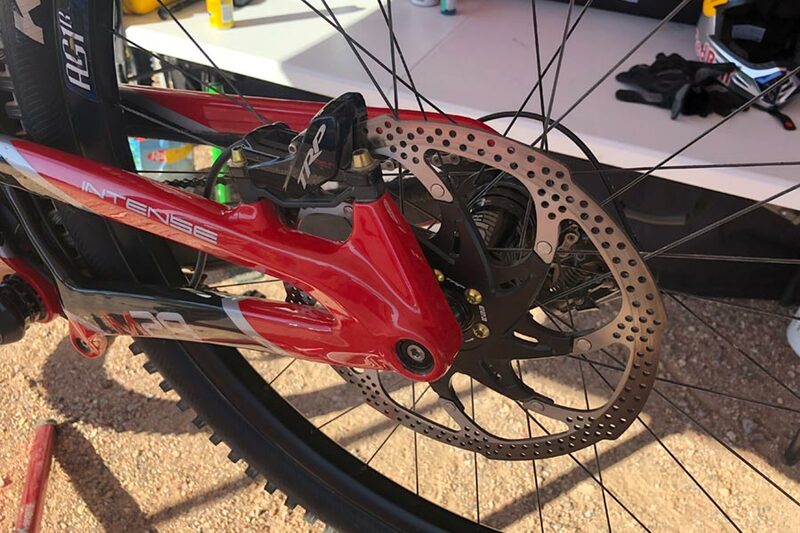 Aaron: We’ve got a lot of the same people that I’ve been with the last three years with TRP, we got a full drive terrain breaks derailleur, shifter everything with them that we’ve just developed over the last couple of years, actually, and it’s just now getting to be available to the public. 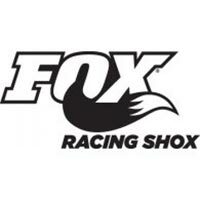 Fox Suspension which has been with me my entire career. E13 wheels and cranks, they’ve been with me last three years and that’s been great and then STG, Renthal, ODI, HT pedals, kind of everything I’ve had design input in and stuff like that. So, it’s great. And then our new sponsor this year is Kenda Tires and that’s been exciting. We got some new tires in the works and I’m really liking the tires that we got so far. So, we’ve got a lot of big plans over probably the first half of this year to introduce a few more tires to their lineup and it’s a good group of supporters. And definitely we’re really happy to have everybody we’re working with.